This Irish-style bar, located on the Financial District’s historic Stone Street, could just as easily be nestled into a side street of Dublin, Ireland. 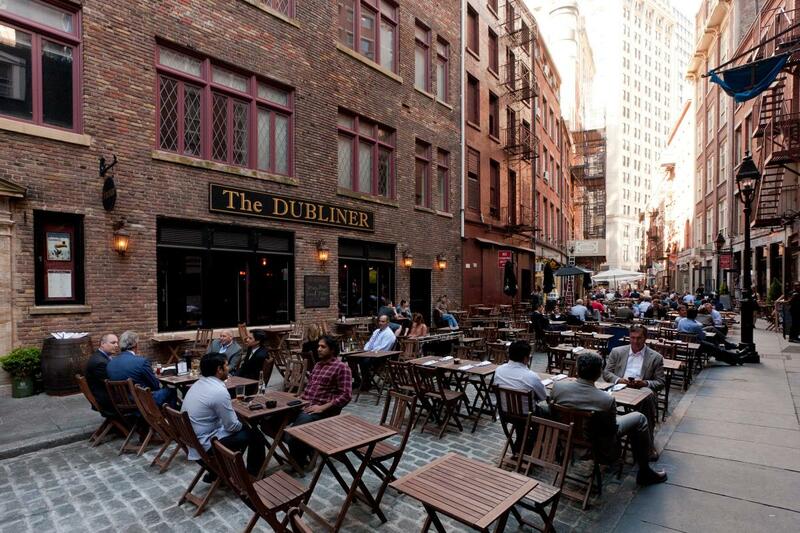 A replica of an Irish bar and the authentic Irish feel that goes along with it, The Dubliner is a must-see destination. The venue offers traditional and high-end pub fare—with dishes to suit all palates—and the menu is highlighted by an exceptional shepherd's pie. The friendly, vibrant and enthusiastic staff makes this an ideal setting for dinner or drinks. The atmosphere is perfect for private events, with warm colors and comfortable areas for seating in the lounge and outdoors.